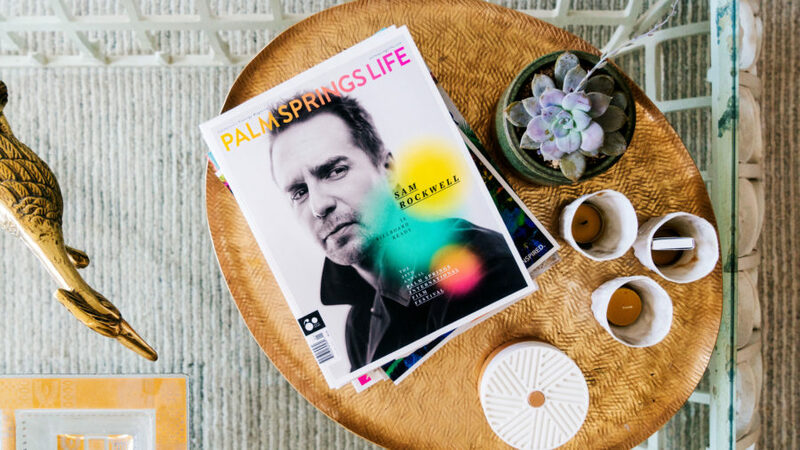 If you’ve been to Palm Springs in the past four years, you’ve likely spotted the work of Jaime Kowal. The photographer is one of the creative forces behind the desert town’s latest design renaissance. 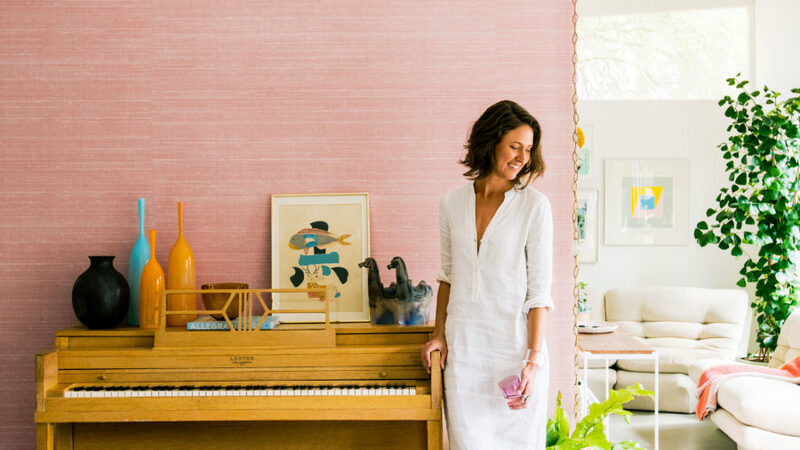 “I’m fascinated by the psychology behind design,” she says. “When you walk into a space, what is it that makes you want to stop and have a conversation?” Judging by her personal retreat, Kowal has no trouble finding the answer. Spare, hardscape-heavy landscaping allows the Agave palmeri specimens in Kowal’s front yard to take center stage. Boulders create height but otherwise let the sculptural plants shine. For an accent that she can enjoy indoors or out, Kowal hung fishing baskets as lanterns from the trees: “I can see those through the clerestory windows at night.” Trim paint in Flintstone, from $48/gallon; dunnedwards.com. An open-plan interior can often struggle to find an identity. Adding one or two walls in a different color or texture provides extra definition. “I wanted to create a symbolic heart of the home,” Kowal says of the partial division between the dining room and entry. Bonus: The surface showcases her vintage Lester Philadelphia Blonde piano to stunning effect. Focus on iconic furniture pieces that tell an instant style story, then freshen things up with art and accessories. 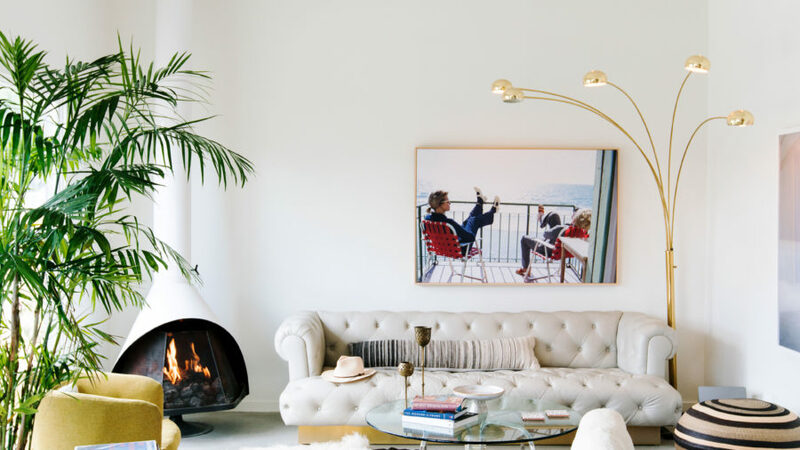 Kowal landed on a mix of midcentury furnishings—including low-profile swivel chairs, a 1950s leather Chesterfield, and a Space-Age arc lamp—and Moroccan-influenced pieces such as a rug from a flea market in Ventura, California. A brass tray holds a casual grouping of vintage-style ceramics, magazines, and the ever-present succulent. a sentimental favorite. “I loved it so much, I put it in my own bar at home,” she says. 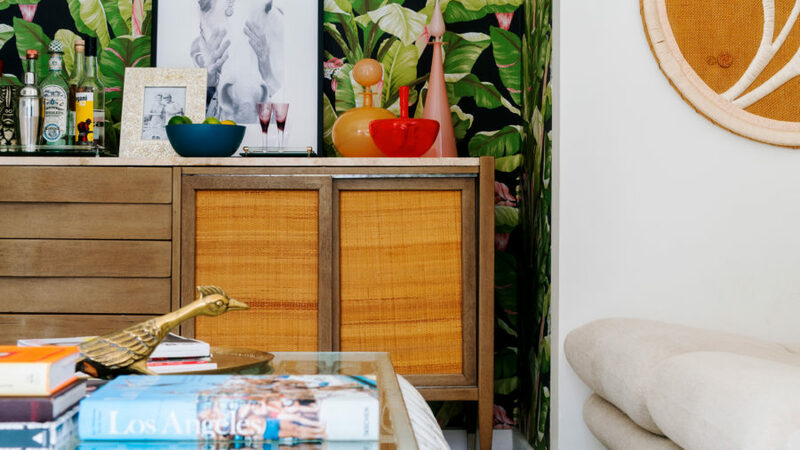 A bite-size hit of this bold print turns the small niche in the den into a major moment. Banana Leaf wallpaper in black, $96/2 rolls; yorkwall.com.